Tingling in heart may be the first symptom of some serious diseases. Therefore, the first manifestation of discomfort in the region of the myocardium should be cause for a visit to the doctor. Tingling in heart occurs coronary disease, its complications causing myocardial infarction. CHD is the cause of heart pain in 12% of cases. With such disorders you need to consult a doctor. For the relief of the unpleasant symptoms should take Nitroglycerin. Heart tingling and precordialgia syndrome, which is often observed in adolescents in the period of intensive growth of the body. Pain syndrome may be caused by physical or emotional stress and appears even if there is no activity. Such tingling in the region of the heart continues for a few minutes and usually disappear on their own. Stabbing heart pain can be a symptom of the initial stage of atherosclerosis, which is the cause of acute coronary syndrome. Such disease most often appears in people of young age. Pain in region of heart at this pathology pass on their own or after taking Nitroglycerin. 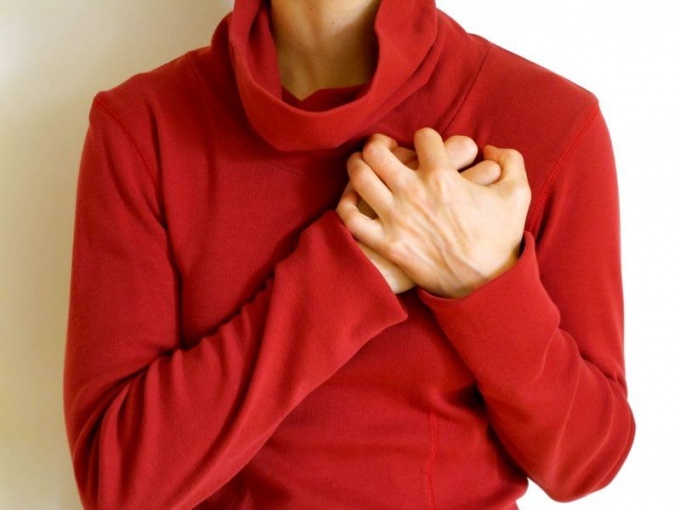 If the spasm of the coronary arteries will continue for too long, it can cause death. Tingling in the region of the myocardium can be caused by myocardial dystrophy, which develops due to hormonal changes within the body during menopause or due to the consumption of alcoholic beverages. Stabbing pain in heart also appear during viral and allergic pericarditis, acute myocarditis infectious nature, cardiomyocyte hypertrophic, aortic aneurysm of ascending and thoracic. Pericarditis is the inflammation of the outer membrane of the heart. Stabbing pain in this disease has several features. It starts gradually and then increases over several hours. The pain is localized in the left part of the chest behind the sternum, radiates to the right upper quadrant, the neck. In the region of the myocardium may tingle in diseases of other organs, for example, because of different pathologies of Central and peripheral nervous system (with vegetative-vascular dystonia, intercostal neuralgia), respiratory diseases (acute pneumonia, dry pleurisy, diaphragmatic hernia). This symptom is characteristic for pathologies of the musculoskeletal system (acute intercostal myositis, thoracoalgia, Tietze's syndrome), abnormalities of the endocrine system (hyperthyroidism), diseases of the digestive system (diskinesia biliary tract, acute holetsistoholangit). Harmful tingling in the heart are localized in the left part of the chest, they occur when fatigue, stress and excitement. Unpleasant symptoms go away when taking sedatives.